We were invited to join in the congregational singing recording for BBC Songs of Praise at the Victoria Halls in Bolton on Friday 8th March. The children had a wonderful time singing Easter hymns old and modern. Highlights of the evening included watching JB Gill record his version of 'You Raise Me Up' and the fantastic gospel choir Shalom Chorale singing 'I'm Gonna Ride that Chariot' and 'My Only Hope is You'. 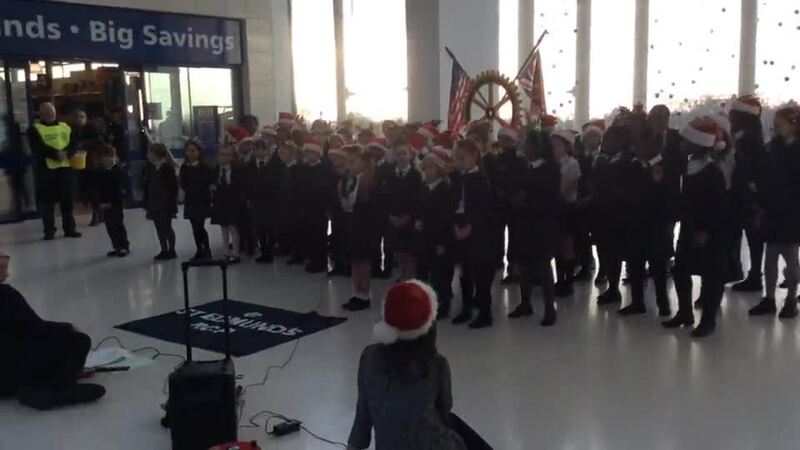 On the 13th February 2019, we took 57 children to Arena Manchester to take part in the Young Voices Concert within a mass choir of 6842 children. 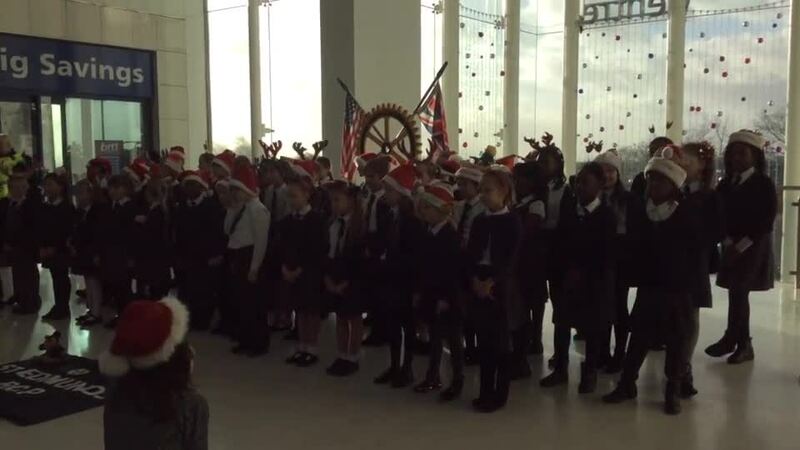 The children were brilliantly behaved as always and had an amazing time singing with some famous faces including: Tony Hadley (Spandau Ballet), Sharlene Hector (Basement Jaxx)and Beau Dermott (Britain's Got Talent). They also enjoyed dancing with Andy and the Urban Strides troupe. Visit our Young Voices 2019 page to see all the fantastic photos and videos. 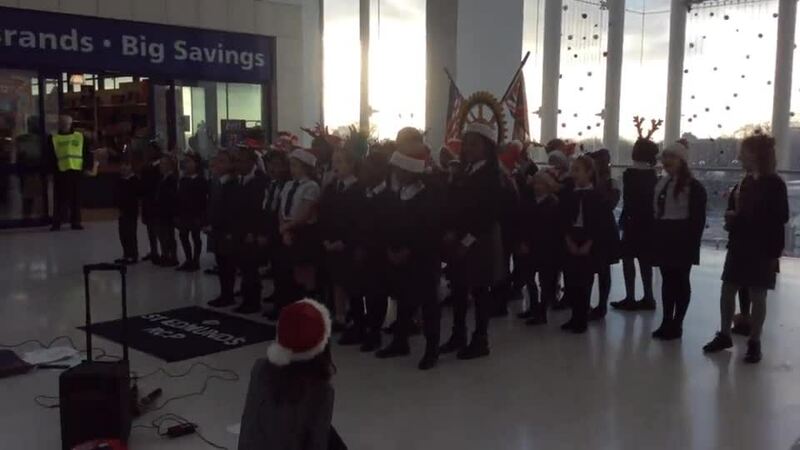 As always, Christmas was a very busy time for our school choir. 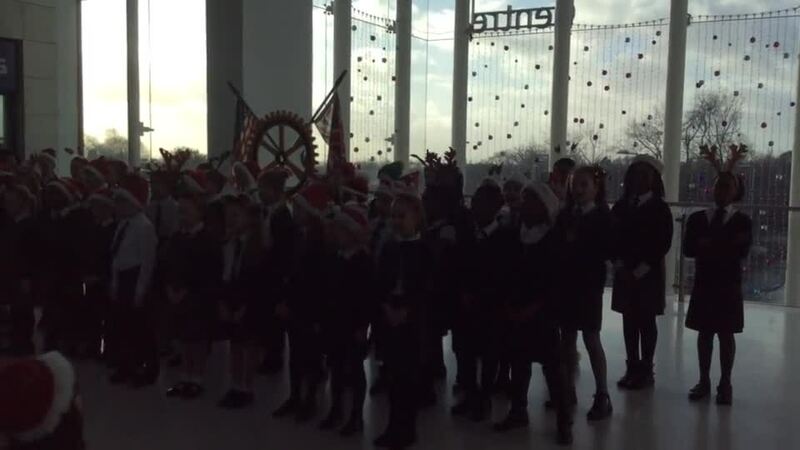 The children were absolutely fantastic in all their performances and we have received many compliments from the general public about their singing and their wonderful behaviour. We could not be prouder of each and every one of them. Watch the show on BBC iPlayer here. Make sure you register your child's Blue Peter badge to ensure they can access all the benefits. 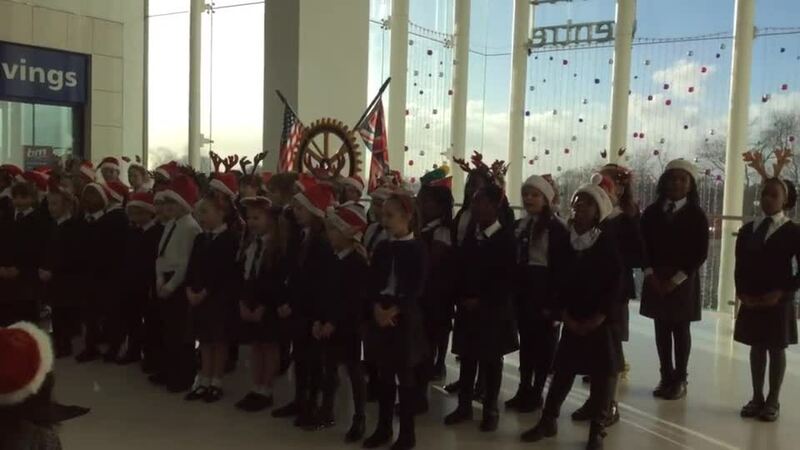 We entertained the crowds in the Ellesmere Centre, Walkden, on Friday the 7th December between 1.30 and 2.30pm. This event was organised by the Rotary Club of Worsley. 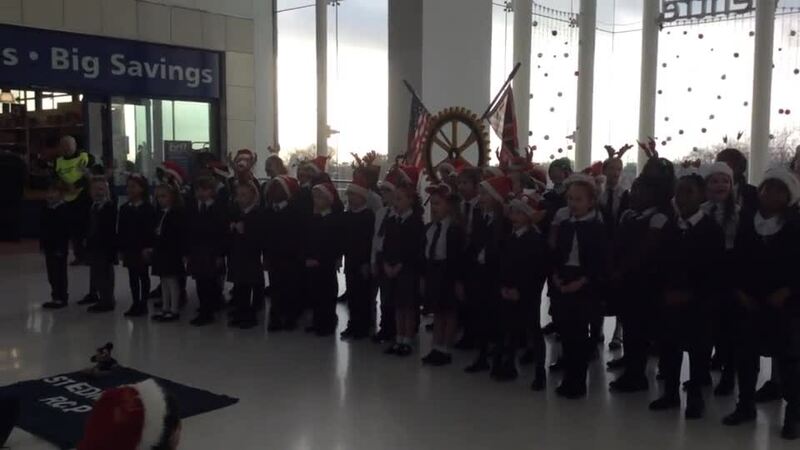 A big thank you to all those who came along during the afternoon to support our choir. 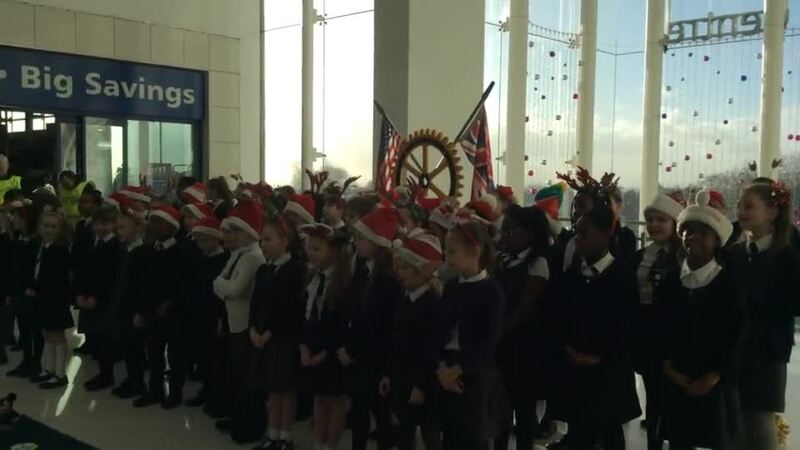 On the 20th December, our choir travelled to MediaCityUK to take part in the live Blue Peter Christmas Special. 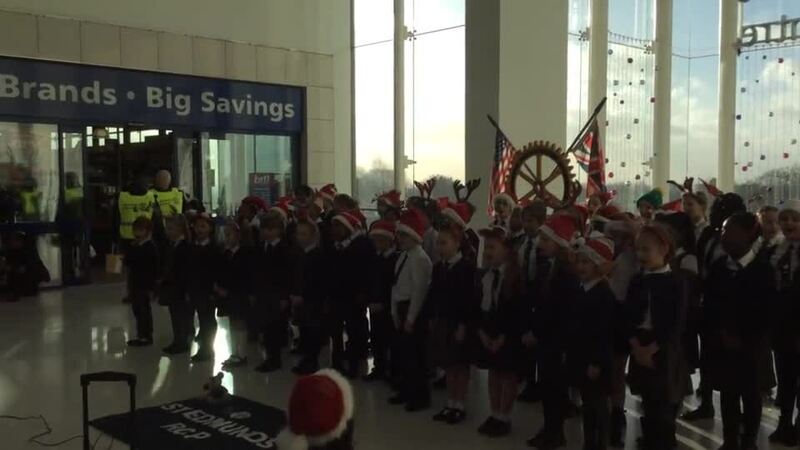 We performed with the BBC staff choir and the Salvation Army Band. 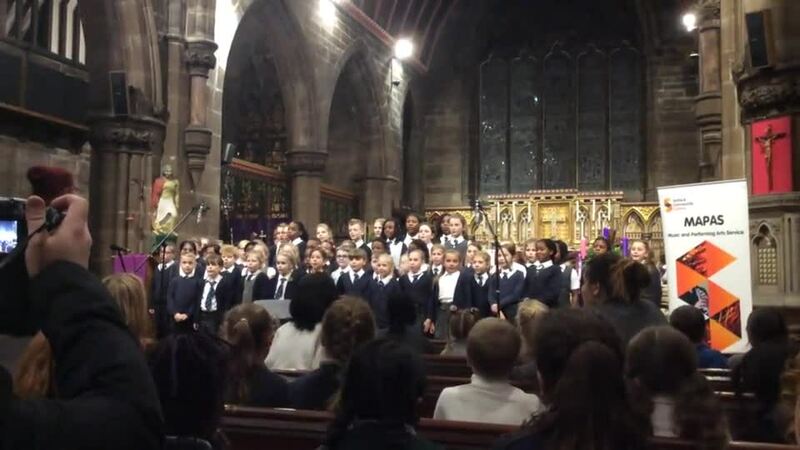 This event took place at St Peter's Church in Swinton on Tuesday 11th December. It was a beautiful evening of festive music and readings. A huge thank you to the fantastic number of parents, family and friends who came along to support the children. Song of the Trees, performed at St Peter’s. On Friday the 14th December, we visited the residents of Pemeberton Fold to entertain them with our Festive repertoire. 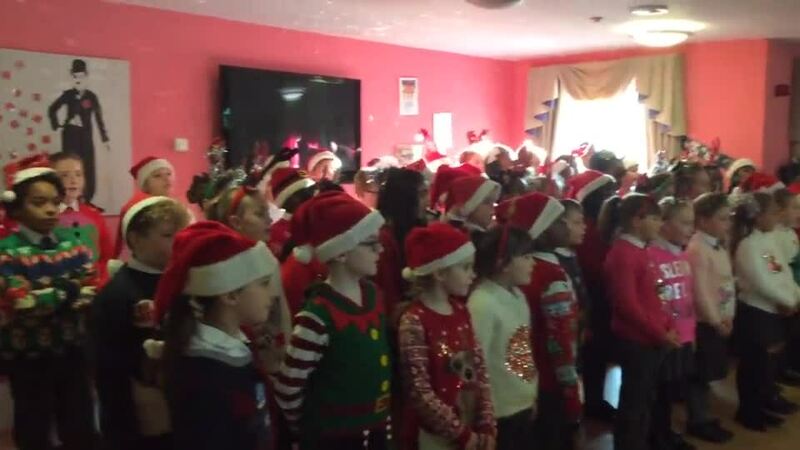 This was a fantastic afternoon which was enjoyed greatly by the residents, many of whom joined in with the carols they remembered from their childhood. As always, our annual Carol Service was a wonderful opportunity to join the children in celebrating the true meaning of Christmas through Bible readings, Drama and Music.